A Tonk's Tail... err, Tale...: Swag Giveaway Time! Want to have some BlogPaws of your very own? Here's your chance! We were given numerous product samples by pet companies in the BlogPaws Pet Expo and we wanted to share this largesse with you. We have two sets of swag to give away - The Dog Swag Package and the Cat Swag Package. All you have to do to enter is select the corresponding Rafflecopter link and choose from several options to enter. And now for the Rafflecopter giveaway widgets! That's furry nice of you guys! Well, we realize your Mom, really. As we are across the pond we won't enter but have a serene Sunday. How sweet of you guys to have this giveaway. We'll try our luck. We'd be delighted if we won the cat sampler. Thanks for making this raffle possible. Purrs and hugs from the kitties at The Cat on My Head, Lily Olivia, Mauricio, Misty May, Giulietta, Fiona, Astrid, Lisbeth and Calista Josette. We'd love to win the kitty swag package. I'm glad you added some toys to the cat swag! 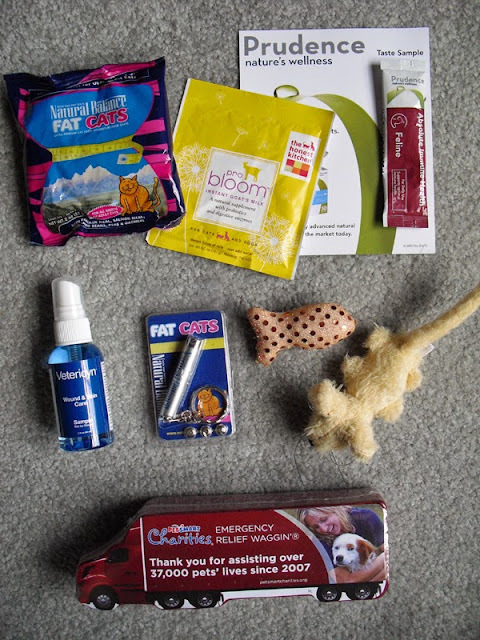 I'm not entering 'cause my human was at BlogPaws and we have some of the same stuff! WOW - those are pawsome prizes pals. That is a great giveaway. Is it open to overseas? That was furry nice for you to add your own toys to the giveaway looks total pawsome. 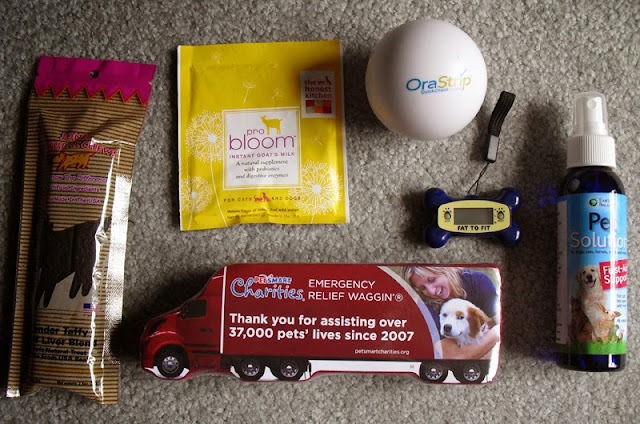 We got some swag that the mom brought home from BlogPaws, so we won't enter. But some lucky kitty and doggy are gonna get some good stuff!! Well, we will enter the cat one, even though I am kind of offended by the Fat Cat stuff. The Human says I am "floofier" than I used to be when I still had my you-know-whats, and whose fault is THAT, I ask her??? Cool, we entered the cat one (we are quite predictable)! Hope you all are having a wonderful long weekend. We had to laugh at the Cat Swag. FAT cats. Really? MOL. Ha, ha! We did a give away and had to add toys too. Great minds think alike!